All-In-One educational center for your child. 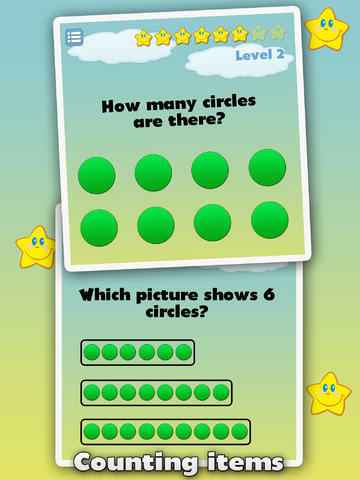 Learning math has never been so easy and fun and kids just love it. 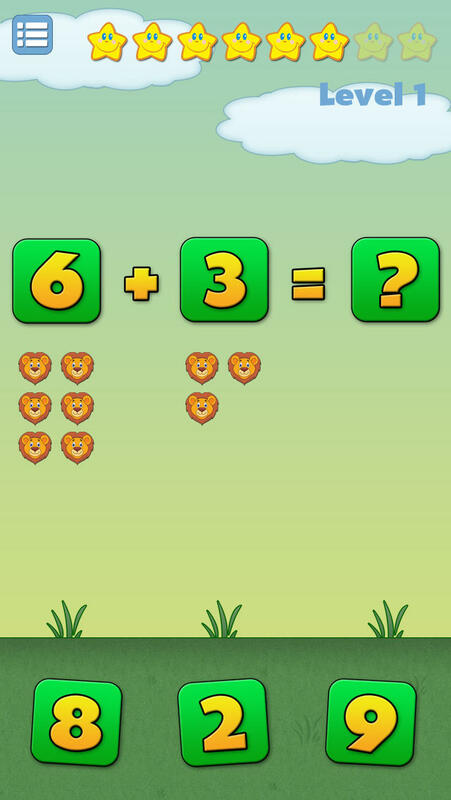 Math Joy will help your child build solid foundations in math and develop various skills throughout the levels. Reward system - Repeating the questions rewards the child with an extra star and ensures more practice, which leads to better skills. Entertaining and fun experience - there are many different animals, shapes, sounds and music included. 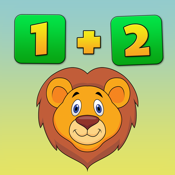 Visual Aid - numbers are represented with different animals, which makes counting, adding and subtracting easier. Can be turned off. All of these are separated into different chapters and levels with increasing difficulty for a better learning experience. We will be constantly adding more levels, chapters and skills, so that Math Joy can be your number one partner in the long math-learning journey.